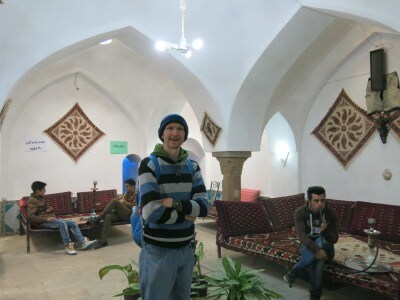 Backpacking in the unknown mountain town of Shahr-e Kord in Iran – here’s my top tips. 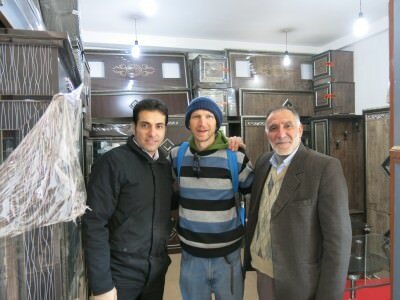 To find out how on earth we ended up in the dreamy mountain town of Shahr-e Kord in Iran, you’ll have to go all the way back to our time in the city of Baku in Azerbaijan and a chance encounter with Rasoul, our new Iranian friend. We met Rasoul in the Caspian Hostel in Baku when we shared a dorm with him and a few others, we told him that we “might go to Iran” in the next few months and then we both went our separate ways. Rasoul went to a wedding in Baku and we headed north to Quba the next day, but we swapped e-mail addresses. Our supper at Rasoul’s place on the Longest Night! About 2 months later we were in Iran and e-mailed Rasool who kindly invited us to visit him and his family in the superb town of Shahr-e Kord. This was such an amazing adventure! We ended up having a mega dinner and supper on the Longest Night and stayed a couple of nights! There will be more on that to come! First up a brief overview of Shahr-e Kord. 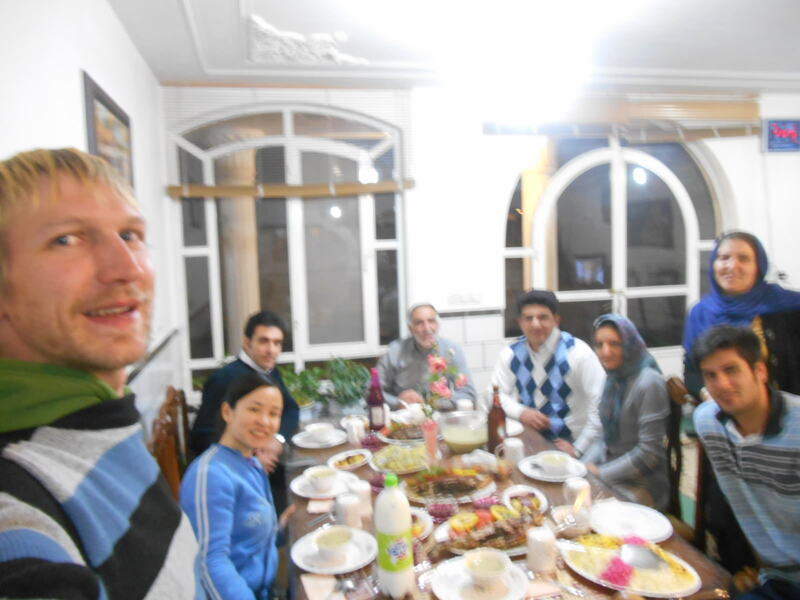 Our mega dinner on the longest night of the year in Shahr-e Kord, Iran. OK so getting to Shahr-e Kord was made easier for us and we were blessed as Rasool is such a top man that he picked us up from Esfahan and drove us to Shahr-e Kord. It’s not that far, just over an hour I think. Buses run frequently enough from places like Esfahan, Tehran and Shiraz so it’s an easy enough spot to get to. 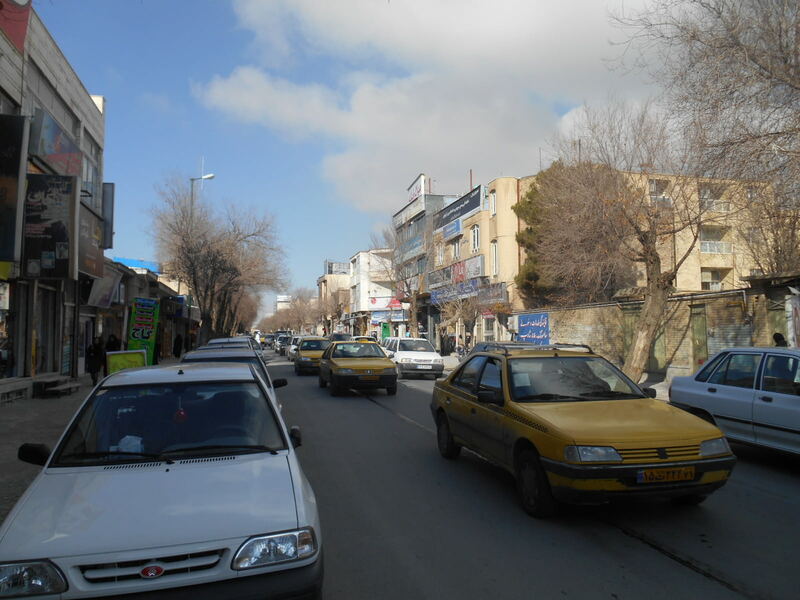 Although there are not really many hotels or tourists in Shahr-E Kord so it does help to have a local guide to help you out, or ask someone for a hotel address before you get there. The city does have a swanky 4 star hotel if you get stuck! 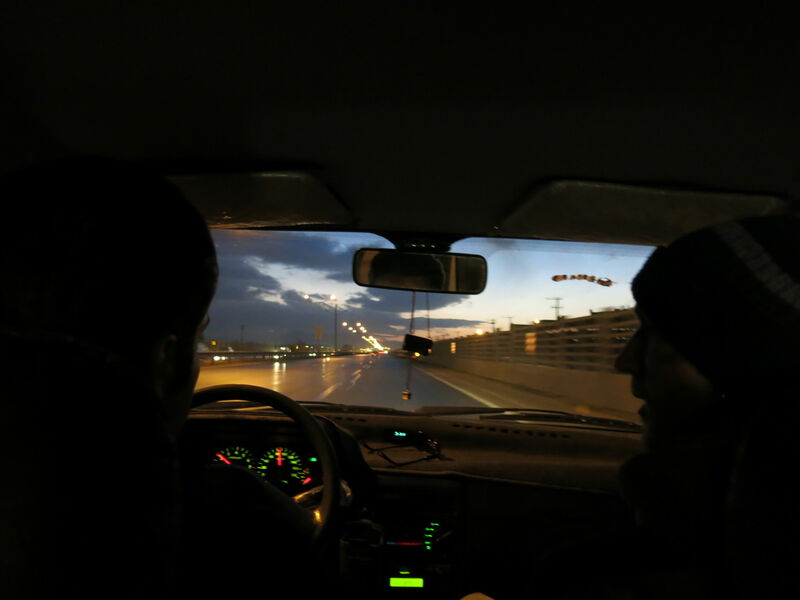 Driving to Shahr-e Kord in Iran. The Iran Lonely Planet book is good and fairly extensive, but it only contains a paragraph or two on Shahr-e Kord, not covering the city’s main sights. 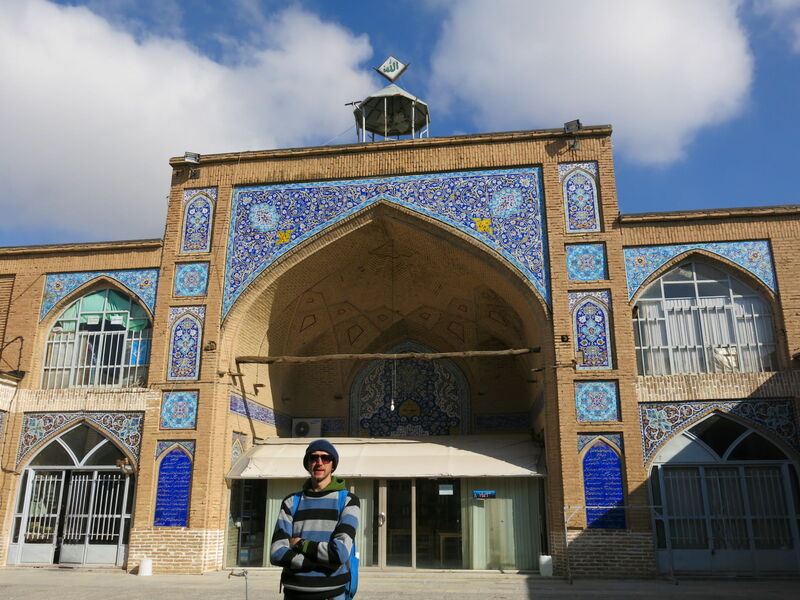 Luckily I’m here to fill you in – this is probably one of the first backpacking overviews of Shahr-e Kord ever so here’s my top 7 things to do in Shahr-e Kord. I probably could have added a few more. 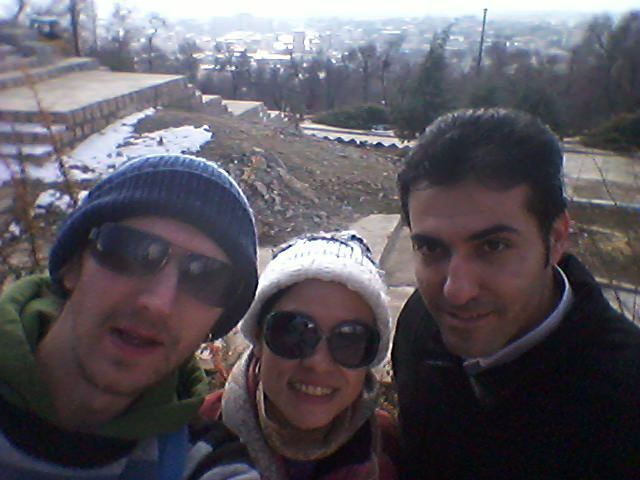 Backpacking in Shahr-e Kord. Panny and I with our friend Rasoul. A simple but pretty museum in the town centre with relics from the past, dating way back. A nice spot for archaeological fans but all in all a fairly average museum. DOn’t forget that places in the Middle East like Iran and Iraq are often seen as the cradle of mankind, therefore always worth a trip to museums in these parts. 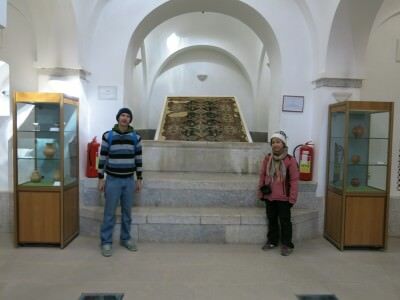 Inside the small museum in Shahr-e Kord, Iran. The saying goes “every town in Iran has a Jameh Mosque” and while it may seem obvious to keep visiting them, this one is different, because it’s small. That’s right – Shahr-e Kord, despite being a town is still relatively sleepy and tranquil. And even better there are no other tourists taking photos! The Jameh Mosque in Shahr-e Kord, Iran. So make sure you head downtown and check out the Jameh Mosque! 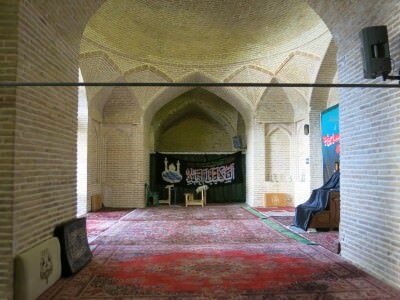 Inside Shahr-e Kord’s Jameh Mosque. I first visited an Islamic Shrine in Tehran in the Tajrish area, and later of course headed to Mashhad to check out the Imam Reza shrine. 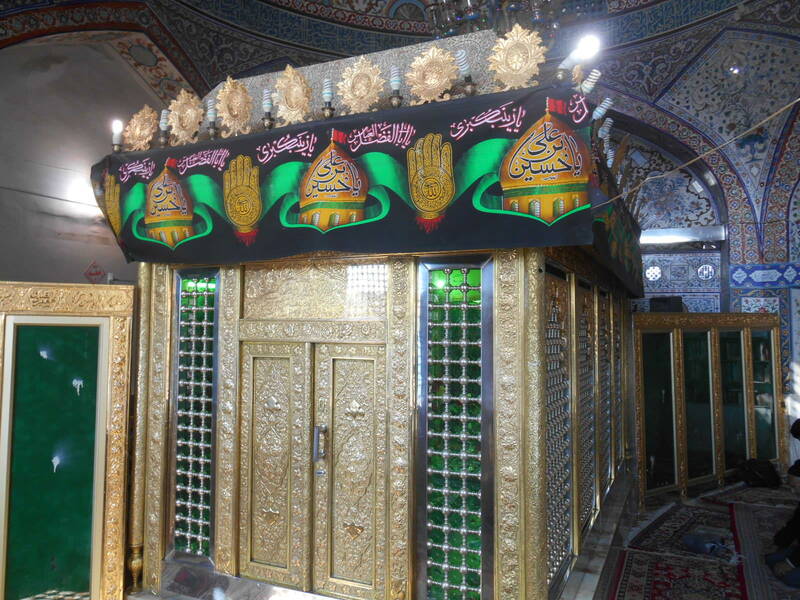 But undoubtedly the highlight was the Halimeh and Hakimeh Khatoon Shrine in Shahr-e Kord. 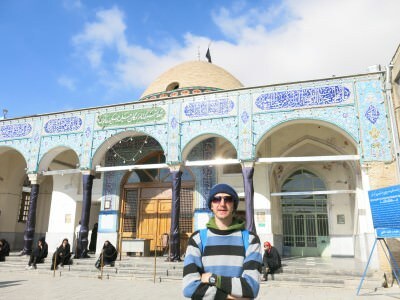 Outside the shrine in Shahr-e Kord. This shrine never sees a backpacker and as Panny and I made our way there, we really enjoyed this off the beaten track moment. There are separate entrances for men and women. The green chamber in the middle is the tomb itself. You’ll get used to these when you tour Iran. Inside the Halimeh and Hakimeh Khatoon Shrine in Shahr-e Kord, Iran. Stylishly this old bath house in Shahr-e Kord has now been turned into a cosy tea house. It’s not just for chilling out and having tea – they also serve snacks and of course you can smoke shisha here. It’s male dominated though, as are most of these types of places in Iran. Inside a Hamam/Bath House in Shahr-e Kord which has now been turned into a Tea house where you can also smoke shisha. 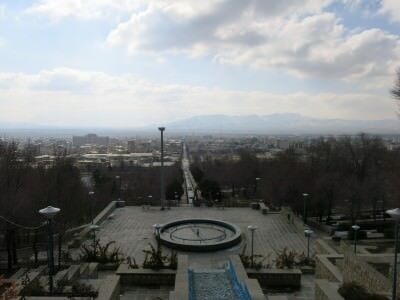 Melat Park on the edge of Shahr-e Kord offers fantastic views of the city and surrounding mountains. It’s a short rising drive up. 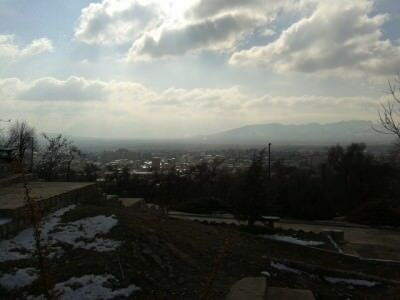 The view from Melat Park down onto the town of Shahr-e Kord, Iran. Shahr-e Kord is a lot bigger than you’d expect you know and when you see it from here you just feel so peaceful. The tranquility is astounding. Students often come up here to get away from the “city buzz”. 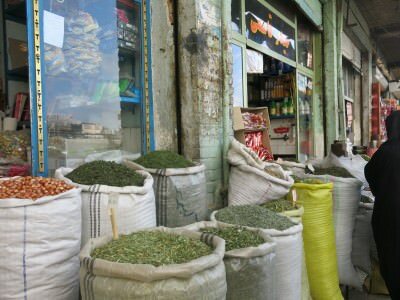 Iranian towns and cities are consistent in their range of goods available in markets. Shahr-e Kord has an endless variety of local market stalls and shops. Typical market stalls and shops in Shahr-e Kord. We did some other really cool “local stuff” in Shahr-e Kord such as visiting Rasoul’s father’s electrical shop, checking out Rasoul’s school (where he teaches English) and afternoon tea in an estate agents owned by Rasoul’s uncles. Perhaps those stories will make for a “how to really see Shahr-e Kord” post someday. 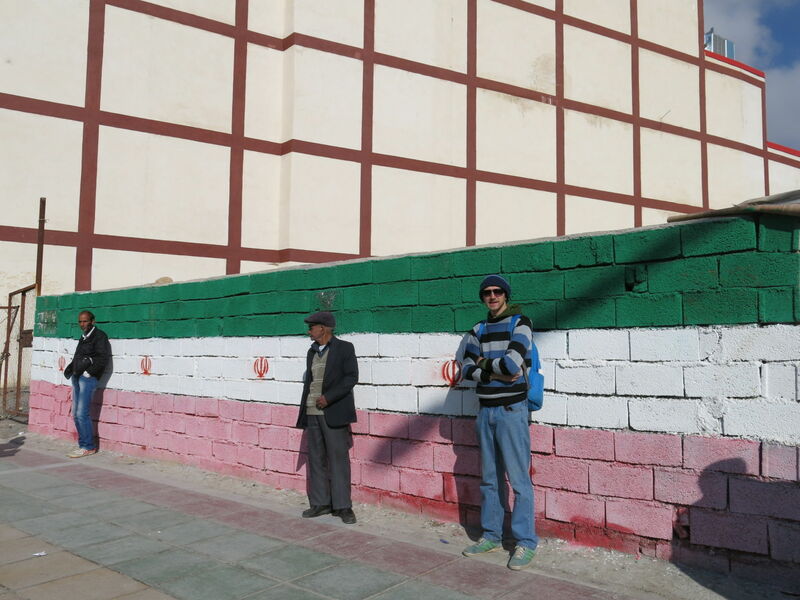 Backpacking in Iran: a flag on the wall in Shahr-e Kord. Also in and around Shahr-e Kord is another museum, fantastic mountain scenery and epic drives into the countryside. We ended up spending a few days in and around Shahr-e Kord and loved it. 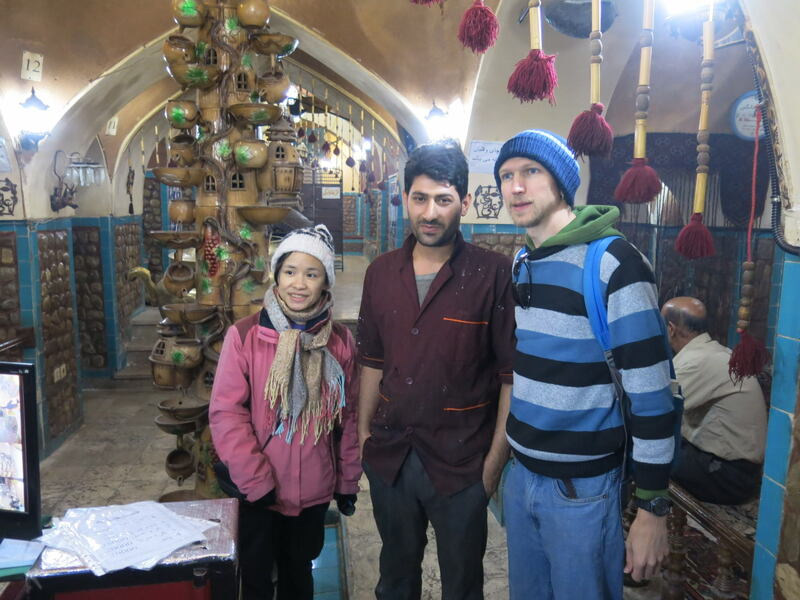 We forever thank Rasoul and family for letting us stay with them and there will be lots more posts to come on Iran, Shahr-e Kord and this fascinating month we spent in one of the world’s best countries to take your backpack to. Iran also made my list of world’s safest countries. So don’t hesitate – get your Iran Visa and start backpacking in Iran! 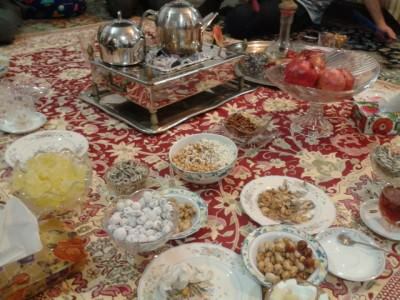 This entry was posted in Central Asia/Middle East, Destinations, Iran, Shahr-e Kord. Bookmark the permalink. I love reading stories like this where you go to some random town because someone you met on the road along the way lives there and invited you stay with them should you ever been in the area. Classic travel right there. Brilliant! Love this post, Jonny! It’s wonderful to read about a place you don’t know much about (well, actually anything about!) and indeed hasn’t had much written about it either. Thanks for filling in the gap in the literature here. Will certainly reference this when in Iran. Would love to visit!